What are a Landlord’s Obligations for Fire, Gas and Electrical Safety? If you’re thinking about becoming a Landlord for the first time, it’s important to familiarise yourself with your legal obligations with regard to the safety of your tenants. There are several laws applying to rental properties and tenancy agreements, and, alongside the laws are some regulations and recommended actions that aren’t essential, but are considered best practice. 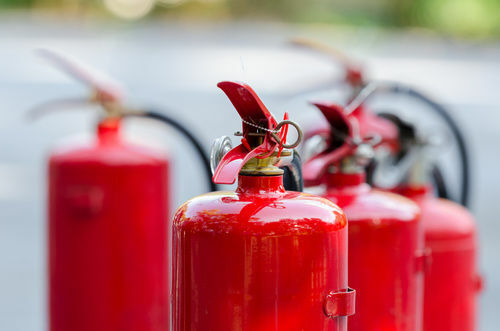 Fire Safety rules vary depending on the type of property and whether the property is let with furnishings or without. Furniture: Many first-time Landlords prefer to try unfurnished lets as they’re generally easier to manage in terms of inventory and repairs. Any upholstered furniture supplied as part of a letting agreement must comply with the Furniture & Furnishings (Fire) (Safety) Regulations 1988. To ensure this is the case, it’s recommended that you look for the appropriate labelling on furniture before you buy it, or consider replacing older furniture if you’re unsure. Carbon Monoxide and Smoke Alarms: Carbon Monoxide alarms must be fitted in any room where there’s an appliance that burns solid fuel, such as a wood burner or fireplace. Smoke alarms should be fitted on each storey of a property. If you’re buying a leasehold flat or apartment, it’s likely that the whole property will have a professionally fitted integral fire alarm system, and this will be tested on a monthly basis. If not, you should install your own alarms, and should test your smoke alarms before the start of each new tenancy. If you’re unsure whether your rented property meets fire safety standards, there are companies that will carry out an inspection for you, or you could consider using templated risk assessments or documents like the one created by the National Landlords Association. Every gas appliance in your rented property must be checked by a Gas Safe registered engineer on an annual basis, and you must present your Gas Safety Certificate to your tenants or letting agent. If you choose to use our Fully Managed lettings service, we will arrange the Gas Safety inspection for you with our vetted contractors and keep a copy of the certificate on file, as well as giving a copy to your tenants. In addition, if you’re a Leaseholder in a managed block that has communal Gas appliances, whilst you’re not responsible for the maintenance or testing of these, you must ensure you obtain evidence from the Freeholder or Block Manager that they are fulfilling their Gas Safety testing obligations too. If you have a gas boiler in your rented property, aside from the annual gas safety inspection, it’s also highly recommended that you have your boiler serviced once a year to identify any potential problems. This will prevent breakdowns and expensive callouts, prolong the life of your boiler and ensure any insurances or warranties remain valid. Boiler breakdowns are one of the most common tenant complaints and can be extremely distressing in winter, particularly where tenants have young families. Anything you can do that will ensure your tenants full enjoyment of your property will help you to maintain a good relationship and will encourage tenants to stay in your property for a longer term. Electrical Safety Inspections are not required by law, however, many letting agents will ask for these particularly in older properties. As a first time Landlord it’s a good idea to have an inspection to put your mind at ease, particularly if you have carried out any DIY electrical repairs. If you’re buying an investment property to rent out, then an Electrical Safety Inspection is recommended before you exchange contracts. Using an agency to let and manage your property is the safest option for first time Landlords. All of our staff are fully aware of Landlord safety obligations and can offer you advice and guidance. To find out more about our Sussex Letting Agency Services, contact our team.